Brand NEW energy-efficient home ready NOW! The Avondale is a two-story plan with lots of space, elegant dining room, kitchen and breakfast with granite island and SS appliances, open to the family room with direct vent fireplace and hidden staircase. Breakfast room accesses the covered patio perfect for your morning coffee. Master suite has separate shower and tub with 2 large walk-in closets and sitting room making mornings easy. Three more bedrooms upstairs all with walk-in closets and a partial finished basement with bedroom, bath, recreation room, and theater room. All on a 1/3 acre wooded lot. 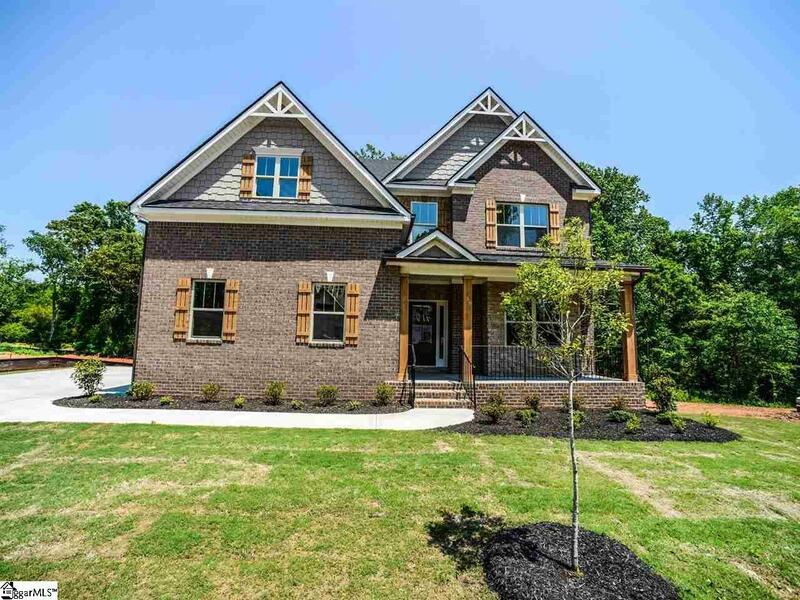 Enjoy living at Leafmore Woods, nestled along the Reedy River, an exclusive community located just minutes from the bustling Fairview Road shopping district. Known for our energy saving features, our homes help you live a healthier and quieter lifestyle, while saving you thousands on utility bills. Like: Spray foam insulation in the attic for energy saving and better health Low E windows for 15% less heating/cooling costs ENERGY STAR appliances for lower energy costs CFL/LED lighting for about 75% less energy costs Fresh-air management system for clean, fresh air circulation 14 SEER HVAC helps save energy and money Conditioned attic helps seal out particulates, rodents and noise PEX plumbing is more resistant to freeze breakage Minimum Merv 8 filtration helps minimize indoor particulates CFL/Led energy efficient light bulbs.